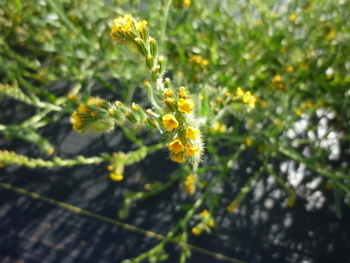 Heritage Seedlings & Liners, Inc.
Common fiddleneck is found in both wet and dry prairies and has bristly hairs on the foliage. The large, elongating flower stems are bright orange and curl at the ends (like the head of a fiddle). The seed is a favorite food on our native goldfinches. It does best in disturbed habitats and areas of low competition. This very showy annual blooms in late-summer and persists on restoration sites along side perennials. 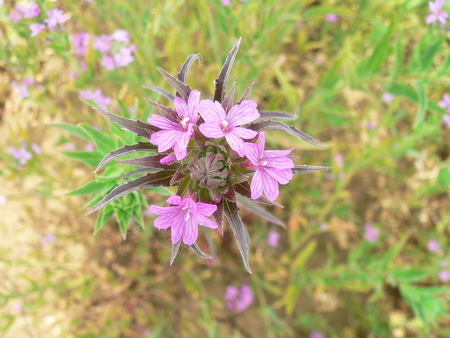 It has relatively large pink or magenta flowers with dark pink patterning, 3-4 ft tall. Smaller flowers than C. amoena but still very pretty with pink to magenta flowers, 3-4 ft tall. Pretty annual with more delicate flowers than C. amoena with clawed petals. 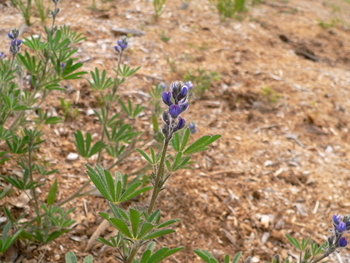 Found most often in dry, rocky habitat. A great addition to a rock garden. 2-3 ft tall. Delicate blue "snapdragon" shaped flowers, 0.5-2 ft tall. A winner in the restoration world, persisting on sites as the perennials fill in. Found in dry rocky sites and upland prairies. Gorgeous! Salmon pink flower heads, very showy! 2-3 ft tall. The blue pollen colors the legs of tiny native bumblebees that forage on the flowers. 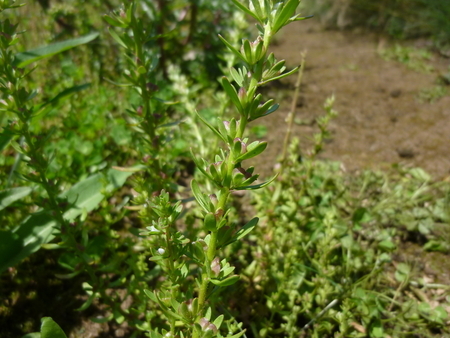 This small, decumbent native annual is found in the vernal wet areas. 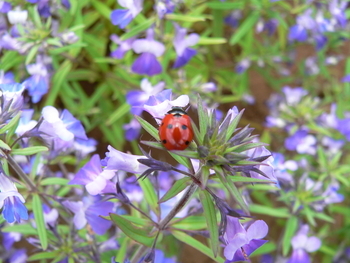 It has bright blue flowers and blooms early-summer most often with other annuals such as popcorn flower and monkey flower. 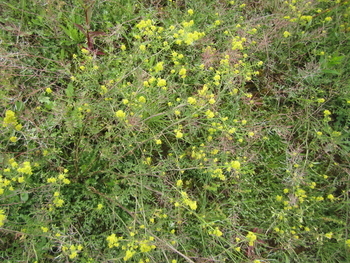 This small tufted annual is found in both wet and dry prairies where there is little competition from other vegetation. 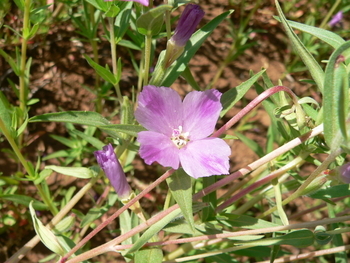 It has both white and pink flowers and needle-like leaves. Very delicate annual pea, multi-colored flowers, 0.5-1 ft tall. Does best without competing vegetation. Soft, hairy leaves, pink-white flowers, long bloom time, 2 ft tall. This annual does very well in both wet and dry prairie restorations even in areas with perennial competition. 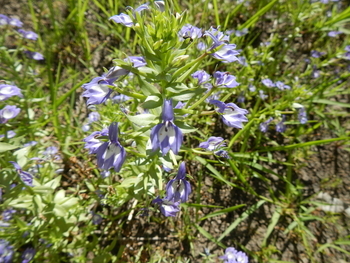 Small, blue pea flowers in a dense spike, pretty flowers, blooms in spring, 1-2 ft tall. 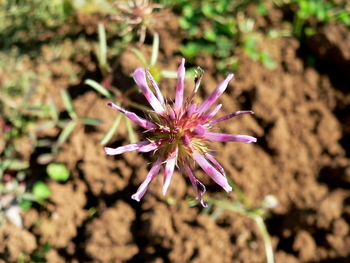 Most-often found on roadsides and thin-soil sites in Western Oregon. Does best without competing vegetation. 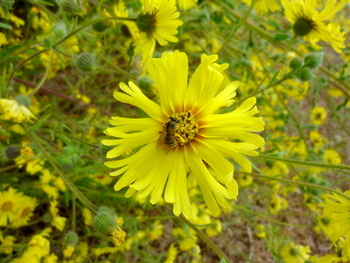 Flowers are large and beautiful, fringed, bright yellow, and often with a magenta center. 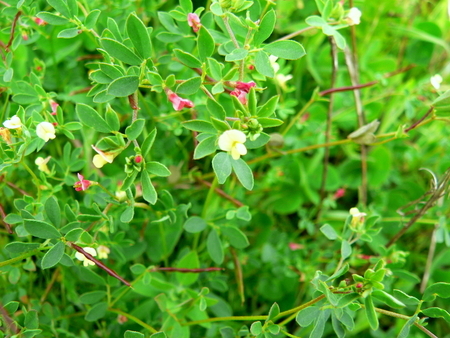 The foliage is aromatic (sweet), it flowers for an extended period (up to 2 mo.) but flowers close by mid-morning, 4-5 ft tall (in garden or without competition). The seed is a small sunflower seed that attracts many birds. Flowers small and yellow but spicy foliage is attractive. Flowers close by mid-morning, 2-4 ft tall. This small annual has a variety of forms from tufted to slender and erect. 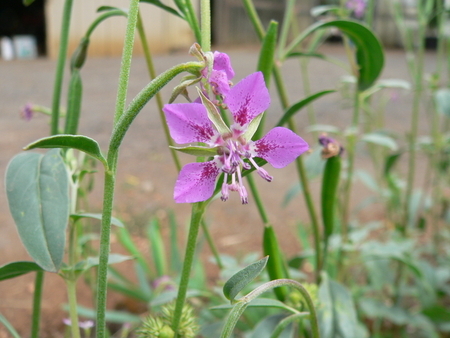 It has pink, tubular flowers that are self-pollinated. It grows in moist or dry soils at all elevations typically in areas without much competing vegetation. Common monkey flower has bright yellow, snapdragon flowers that attract many types of bees. It is often found in the wettest portions of prairies and meadows as well as roadside ditches. 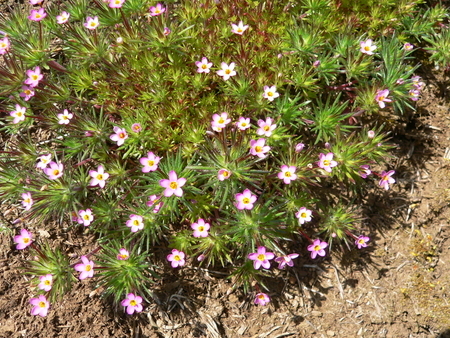 This small annual with succulent leaves flowers very early in the spring. 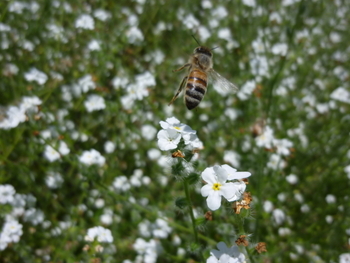 It has white, self-pollinating flowers and grows rocky or vernally wet areas in areas free of competing vegetation. The black shiny seeds ripen quickly in early-May and dropping out from the still green flower bracts. 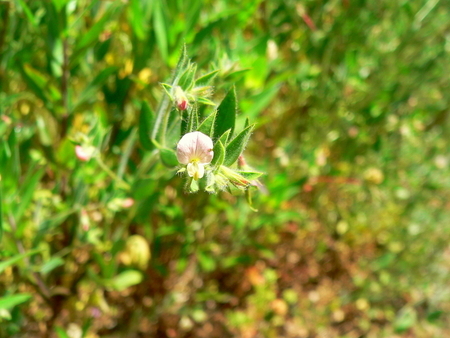 Fragrant popcorn flower is found in wet meadows/bogs and vernally wet areas. 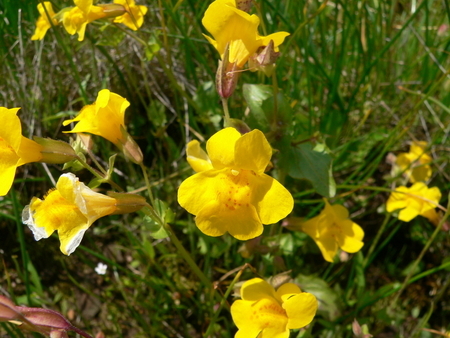 In vernal pools it puts on quite a show with other annuals such as showy downingia and monkey flower and perennials such as common camas, few-flowered shooting star and meadow trefoil. Occasional nectar species for Fenders Blue Butterfly. 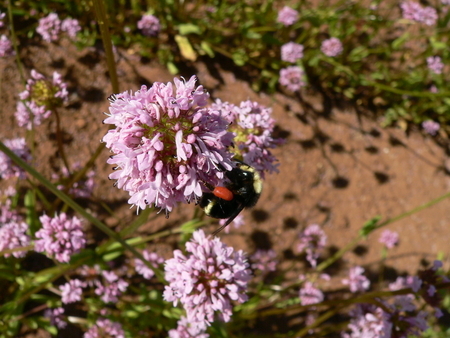 We offer a mix of two key annual species of wet prairies and vernal pools. Fragrant popcorn flower and Scouler's popcornflower are often found together in these habitats. The growth habit of Scouler's popcorn is more prostrate that fragrant popcorn flower and has smaller flowers. 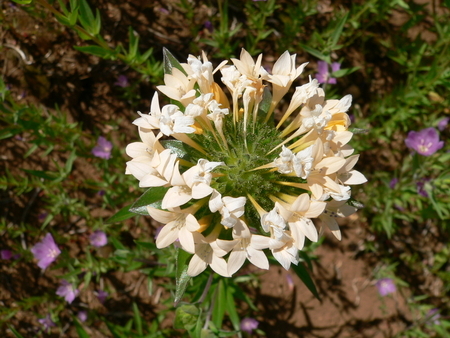 Rusty popcorn flower is most often found in dry grasslands and open woodlands. 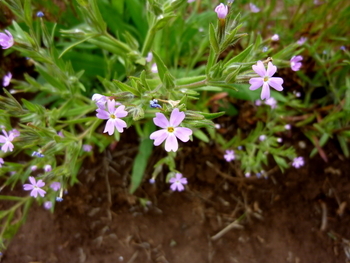 In western Oregon, it can be found growing in rock outcrops with Oregon white oak and madrone and other annuals such as blue-eyed Mary and rosy plectritis creating quite a beautiful natural rock garden. Rosy plectritis is an outstanding annual for restorations. Its bright pink flowers are attractive to numerous pollinators including spring butterflies. 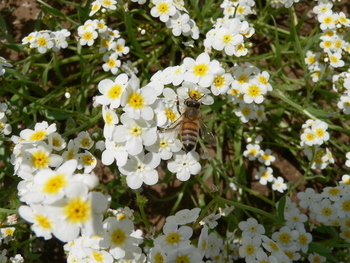 It grows best on thin soils of upland sites or in wet prairies with low competition from perennials. Key nectar species for Taylor's Checkerspot Butterfly. Curvpod yellowcress is found throughout the west in a variety of wet habitats. 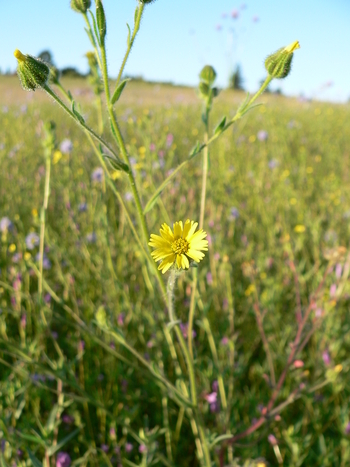 In our prairie habitats, it is found with other annuals in areas with low cover of other vegetation such as vernal pools. In mild winters, it can act as a biennial. This annual can often overwinter as a perennial in mild winters. 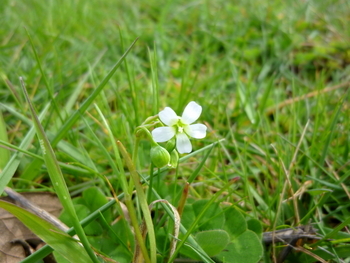 It can be found in a variety of wet habitats from meadows to vernal pools to bogs where other vegetation is sparse. It has delicate, finely dissected leaves with blue-green cast, flowers are green. 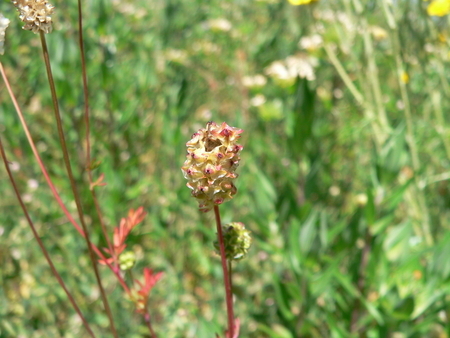 Sanguisorba sp. are known for their high forage value for wildlife species. Low-growing annual pea with pretty purple/white flower heads, and tri-foliate leaves. 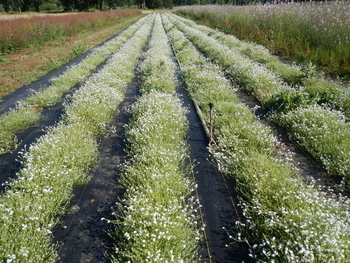 Grows best in rocky habitat without competition. This small annual is native to moist or wet areas of prairies. It can be distinguished from non-native Veronica species by its white flowers and stems that have linear leaves and glandular hairs. The non-native has blue flowers, shallowly lobed leaves, and no glandular hairs. We are a a wholesale propagator of rare & unusual grafts, seedlings, and cutting-grown woody plants. 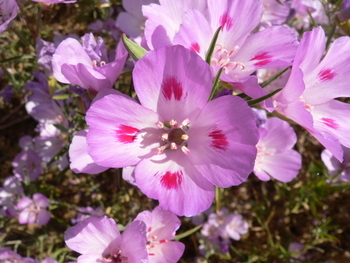 We also specialize in native plants & seeds of the Pacific Northwest. HomeOur PlantsWho's Heritage?StewardshipWholesale OrderingWhat's New and Exciting?